Product prices and availability are accurate as of 2019-03-29 19:31:36 EDT and are subject to change. Any price and availability information displayed on http://www.amazon.com/ at the time of purchase will apply to the purchase of this product. 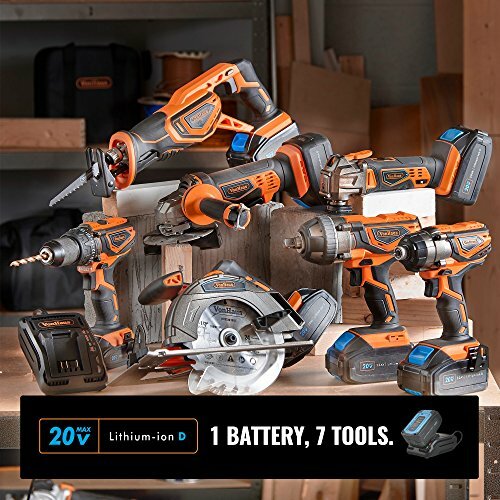 With versatility at its core, this Multi-Tool comes with 10 tool attachments and a 10 pc sandpaper selection so you can get started right away. With a 5 stage variable speed dial from 8000-18000 OPM, as well as an LED work light and 3.2° oscillation it's suited to all kinds of DIY tasks across the home & garden. This 20V Max Reciprocating Saw includes a high spec 2Ah 20V MAX Lithium-ion battery. Battery charger with on-board diagnostics features overheat protection for added safety. Track the charging status using the four-stage light system. Please note: No load running time refers to total power discharge with no mechanical load. The run time will vary depending on the load required for each project. 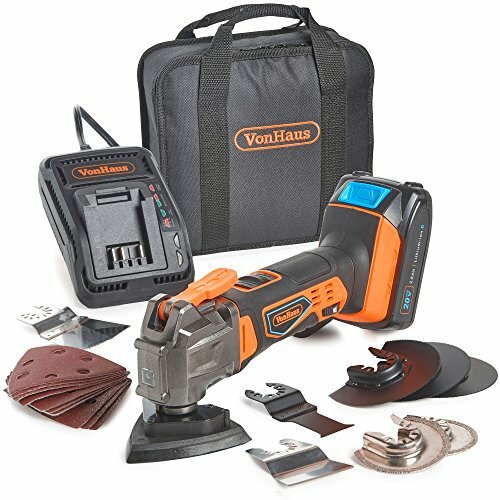 VERSATILE - With 10 tool attachments and a selection of sandpaper use the 3.2° oscillating tool head to sand, scrape, cut, remove grout & more. 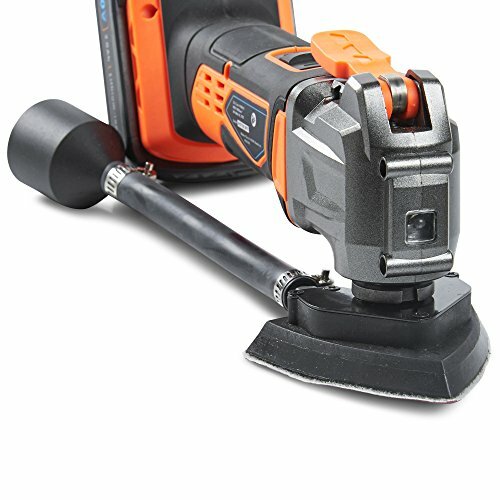 High spec powerful motor operates at 8000-18000 OPM CORDLESS PORTABILITY - Portable with no restrictive power cords - suitable for use indoors and out. Comes with a 20V Max 2Ah battery. 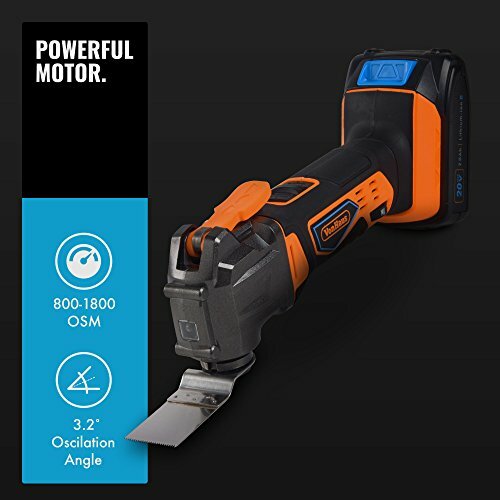 ADDITIONAL FEATURES - Presented neatly in a storage bag, this tool comes with 4x wood blades & quick-release blade change & LED work light STRONG & LIGHTWEIGHT - Cast aluminium gear head designed to be strong, lightweight and durable. 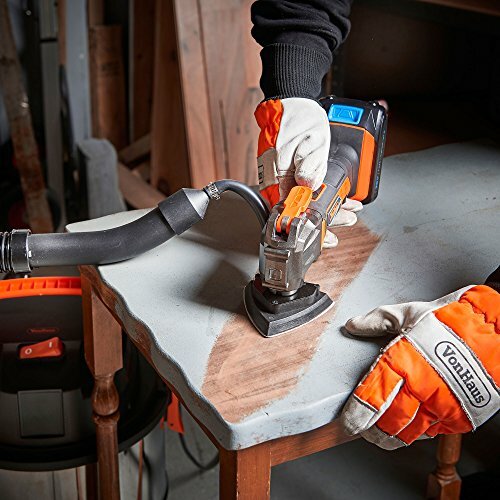 DUST EXTRACTION SYSTEM - Attach the hose included to minimize mess. 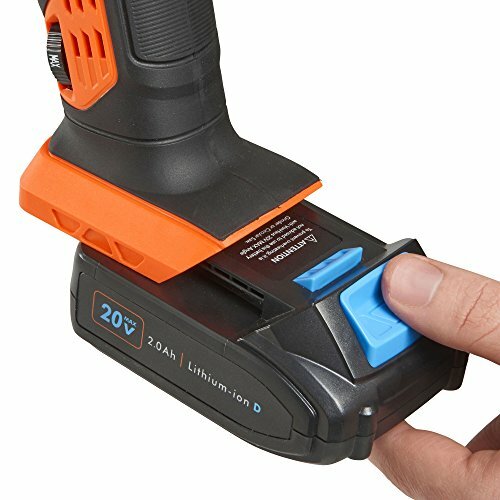 20V Max 2Ah battery is compatible with other tools in the VonHaus 20V Max Lithium-ion D Series.